Anyone notice that RWE has been downgraded ? BBB+ is not a healthy place to be for a big energy utility laden with physical assets - it's only just over Investment Grade. Even Enron was BBB+, for pity's sake ! It's no joke and RWE will need to reorient their strategy significantly. Getting a better deal from Gazprom on their long-term contracts will only be a start. They've been buffeted, of course, by the vagaries of Germany's energy policy - or complete absence of policy as my German friends aver; and are just that bit less able to take the punishment than fellow-sufferer E.on. Both pulled out of the fatuous game of 'new nukes for UK' earlier this year, for the very reason of trying to preserve their ratings. E.on's time in the rating agencies' sights may come (again). 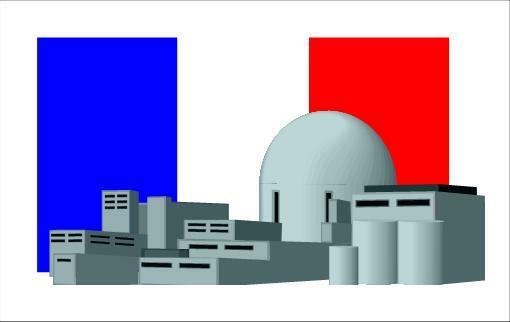 So what of EDF and its resolute programme for a few new UK nukes of its own ? Dream on, Ed Davey - they know they'll be hit too if they stick their balance-sheet on the line for this lost cause, generous subsidies or no. Their would-be 20% partner Centrica will be heading for the hills soon, and EDF are already casting around for replacements. Rumbling on in the background is a dispute with Areva over who takes the hit on the monstrous EPR over-run costs; and if DECC gets a single new nuke out of them (at Hinkley in Somerset) it will be a miracle of the first order. Interestingly enough it's not nukes that EDF press releases emphasise ! UK energy security has gone to hell in a handcart, thanks to 10 years of dither by Labour with Huhne the cherry on top. It's no surprise that the CEO of a UK power company is planning to go off-grid as he knows the lights must go out by 2015 as the EU surrender-monkeys make us shut-down coal and gas stations. This lack of action is making me want to install a windmill and solar panels on my roof. I won't be able to heat water or cook but at least I'll be able to charge my mobile phone and watch the BBC on the iPlayer. Q: Extrapolate the cost of building a Westinghouse AP1000 reactor in the U.S. to the power output of an EDF EPR, and convert to £. Discuss result. f1) The latest cost estimate for two AP1000s at Vogtle is $14.9 billion (though they are arguing about who pays the +$900 million adjustment since the bid). Rounded answer is £7.2 billion, slightly less that the latest Telegraph "as much as £7.5bn each" EPR estimate. But essentially about the same, which does give credence to that latest EPR cost estimates. If UK build costs are significantly lower than U.S., AP1000 could be a bit cheaper. Given the struggle to finance this, the smaller size of the AP1000 is a usefully smaller increment, which might help in getting finance. It seems BERR spreadsheets assume private finance has a 15% discount rate (including risk premium). For a chinese APR1000 builder with access to much cheaper finance, the UK might look a good punt for a 15% return if BERR are stupid enough to offer CfDs that good. So I agree a Hinkley C EDF EPR "will be a miracle of the first order". But a Chinese built AP1000 at one of the Horizon sites looks a bit more plausible. But it depends on politics. A small fly in the soup is that Horizon has inferior sites to EDF. Wylfa is outside the south of the UK, so has higher grid losses. Oldbury does not have enough cooling water for a big reactor, so needs a mechanical cooling system adding build cost, and wasting around 2% of power output. May be assume that all nucular stations in the UK still have their designs 'tinkered' with by MoD to covertly produce weapons-grade plutonium so the Generals can get tumescent? ... but given the govt will not be counterparty to the CfDs, what forces the leccy suppliers to sign up as a nuclear CfD counterparty? Presumably some new kind of renewables/low-carbon obligation. But why would they counterparty a long running nuclear CfD, when they could counterparty a shorter and a lot less risky wind CfD - which would be probably be cheaper as well? And if they do counterparty long running nuclear CfD, aren't they at a disadvantage to any new leccy suppliers created a few years later who will have access to cheaper CfDs? And what happens if the nuclear build is years late - will they have to join another CfD for a few years to make up their missed years of low-carbon obligation? The answer is probably in the acres of BERR docs I've not read. But do you have a quick answer, or url, for this ND? The more you think about this, the more murky it seems to get! I guess National Grid acting as some kind of proportionate tax collector might work, but I see Tim Yeo at the select committee was exasperated with National Grid saying "We’re very close to legislating and to listen to you, it’s as though we’re in the very early stages ... It is absolutely breathtaking that — what is it 18 months, two years since the consultation? – and we’re now saying that we need to have some advice from lawyers. It’s a ludicrous position to be in." Ouch! ... which brings us back to HMG again ! Chinese built??? Jesus H Christ, are you f***ing nuts? Have you ever been to China and seen how they do things? Corner cutting, rule-bending, downright cheating and fakery with counterfeit parts is not something I want to see in nuclear power in this country. Or any country for that matter. SW, well the Chinese have sent people safely into space, which we haven't done. So they certainly have quite a bit of hi-tech technical competence. If the govt want to save the Horizon consortium, as a competition to EDF, they don't have much choice other than to accept a largely Chinese, Japanese or Russian takeover. "In China, there are different companies who have experience of building dozens of nuclear power stations on time and on budget, and so there is no suggestion that these are companies that do not have expertise in this sector. They have extremely well proven expertise in this sector and in looking at how we take this forward in the United Kingdom I think we should be guided by where that expertise has already been proven." "But we do believe that nuclear plant should be able to deliver the lowest cost of large scale low-carbon generation and therefore this should be a good deal for consumers." so he is clearly pretty delusional, or acting as QC for the nuclear industry putting their case forward in govt. All I can say is visit China. I worked there for years. Clearly neither you nor that prize moron Charles Hendry have. The simplest solution to this problem is for the UK to abolish its ridiculous "low carbon obligation" to the European Union. The latter was entered into by Tony Blair at his most shiny-eyed and tail-wagging, when he still hoped to become the eventual EU President. It has no scientific or economic basis. The UK can then take its own decisions on future energy supply. That would be based on standard economic factors, rather than on fantasies such as "man-made climate change" or on the vanity of redundant socialist politicians. I am entirely with SW on Chinese stuff. I am sure that the Chinese are capable of quality work, especially when their bosses are aware that a year's slave labour then being shot at 4:00am one cold morning awaits failure. But general Chinese work, and on Nuclear as well - you have to be kidding. Both ND and rwendland take the "fantasies such as "man-made climate change"" (Anon 8:06pm) as given. The reality is that CAGW is dying a death, and only the politicians and bigwigs are still on board. ND, unfortunately, CAGW is not a straw man, it is the basis for all the "carbon" legislation we have. If "the scientists" had said 'there may be a bit of AGW, but we're not sure, and it won't be detrimental' then no-one would have taken much notice. It was the "Catastrophe" bit of CAGW that pushed (and still pushes) the agenda. And I wouldn't be as sure as you about AGW anyway. We could just as likely (IMHO) be causing AGC with our particulates emissions, swamped by natural GW. GW is possibly true at the moment, but its value is not an undisputed 'fact'. Moreover it is much more likely that rather than blanket and permanent GW, which you imply, that we are merely in the uptick of a cycle of alternate warming and cooling, probably driven by the Sun. At the rate the WT6500 (Honeywell Windmill; $11,000 installed, 20 year life) is delivering power at our test site, it would take several millennia for the product to pay for itself in savings — not the 56 years it would take even with the 1,155 kWh quote we received. Budgie, yes domestic wind turbines are hopeless, unless you are not on mains leccy. You want a Vestas 7 MW jobby with blades longer than 9 London busses! To be made in the UK I believe. They figure beasts like this will bring offshore wind leccy nearly down to onshore prices from about 2020, and about 66% the cost of the latest nuclear EPR estimates. For the record, GW isn't something I've studied closely - life is too short to study everything. I go along with what I perceive to be about 95% of the scientists on this one. I find AGW convincing, though not sure about the C bit - we are quite adaptable. But it seems one or two centuries of +3 temps is likely to increase sea levels several metres, so we'd probably have to abandon London. Not quite a C, but pretty serious, and worth trying to delay and reduce. Also for the record, I recognise I come across as inherently anti-nuclear. That's not actually the case. I think in due course we will develop a good nuclear power system, but the present offerings are not sufficiently safe, not economic, and we have not demonstrated what we will do with the waste which needs to be kept safe for many thousands of years. Oddly the EPR, which I regularly criticise as too expensive, is I think the safest of the bad bunch of new nuclear - I do have pangs of guilt sometimes criticising its ridiculous cost. As I have pointed out before your (and others) Wind costs do not take into account the Gas back up needed, and are therefore spurious. As for GW, of course you may believe what you like, but for someone who says he has not "studied [it] closely", you should be wary particularly of claiming "about 95% of the scientists" agree with AGW still less CAGW. The 95% (actually 97%) figure derives from an AGU simplistic and self selecting survey in which 75 climate scientists out of 77 answered 'yes' to one question (data from Doran and Zimmerman 2009).